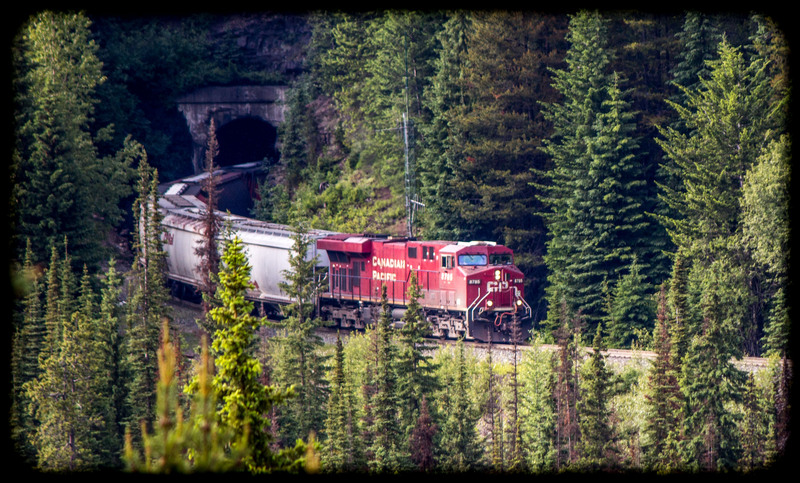 While not our prime reason to go north to the Canadian Rockies, trains turned out to be a big part of the story. 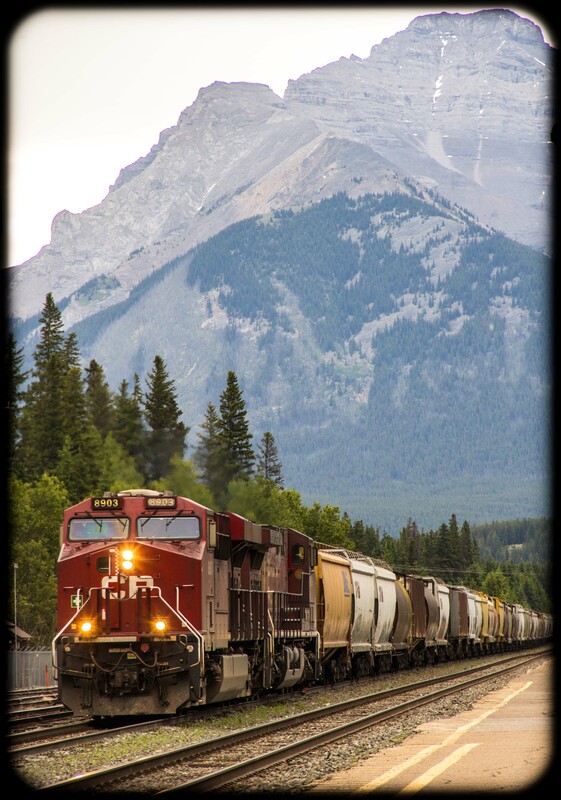 Canadian National and Canadian Pacific operate transcontinental lines thru the rockies. 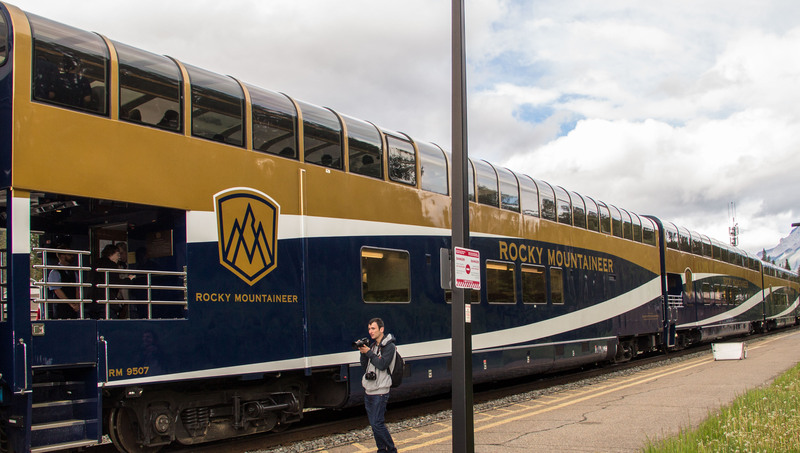 The Rocky Mountaineer luxury passenger train stops in Banff delivering many of the 3.5 million visitors from all over the world. Banff National Park itself was created after CP workers “discovered” the hot springs there. 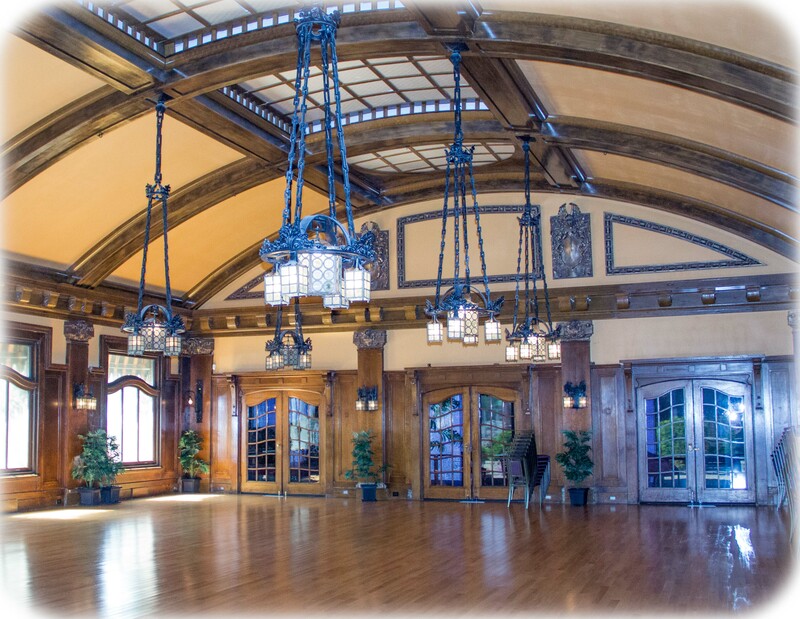 The raiload built the famous Fairmont Hotels in Banff, Lake Louise and other scenic locations to spur tourist development. 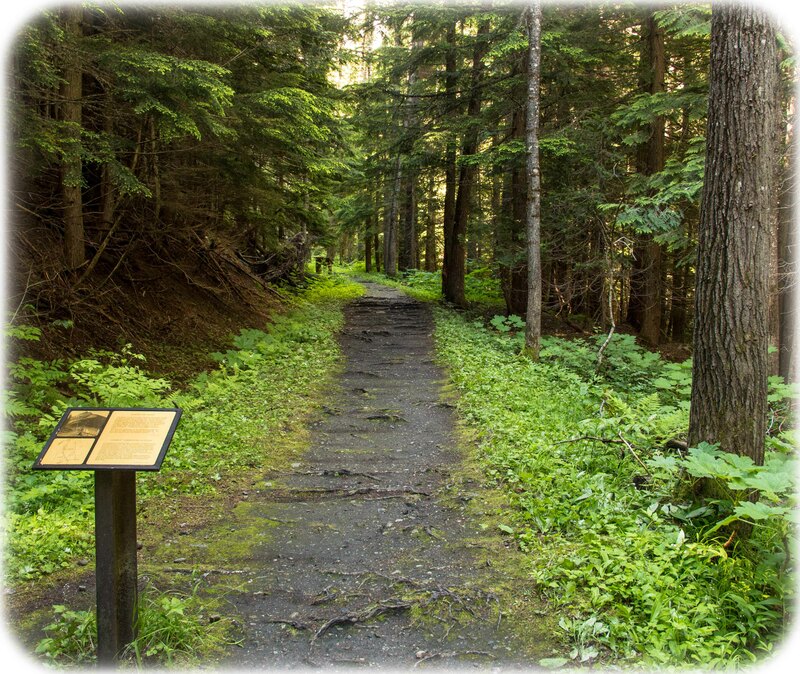 Morant’s Curve was made famous by the official photographer of the Canadian Pacific Railway. 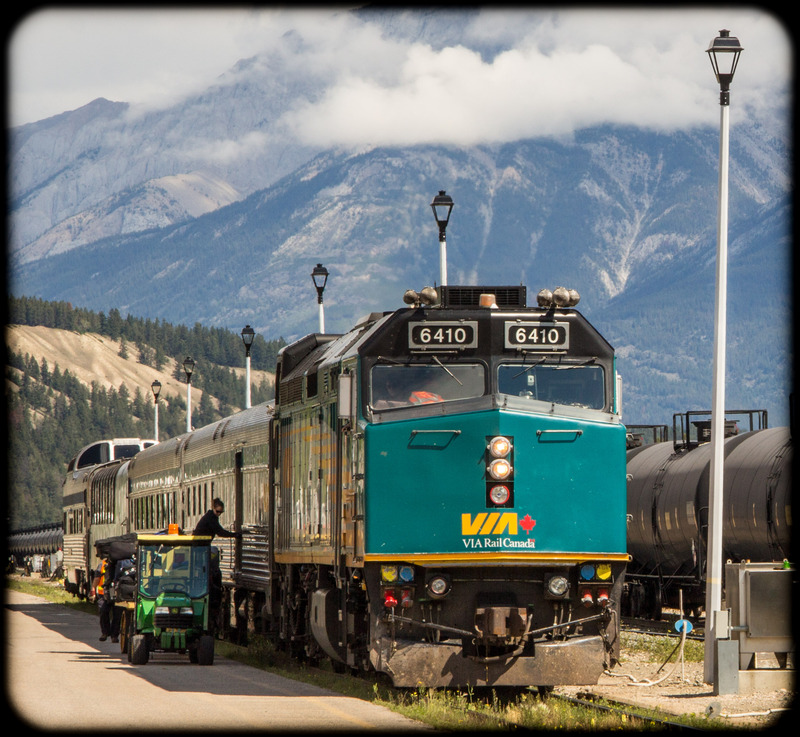 Jasper is served by the Canadian National Railway. 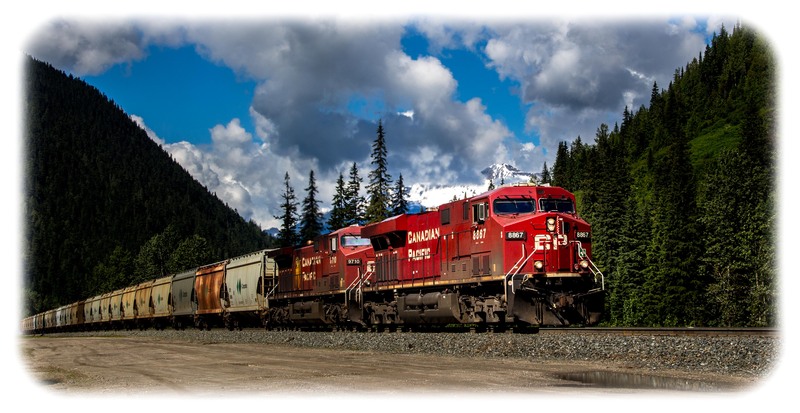 Trains run from Edmonton AB to Prince Rupert BC. We tried to ride a special tourist train through the Rockies but they were sold out everyday we were there. When we saw the train we weren’t surprised since they only had 2 or 3 passenger cars. The Via Rail CN passenger train “The Canadian” had 16 or more cars and was well supported. 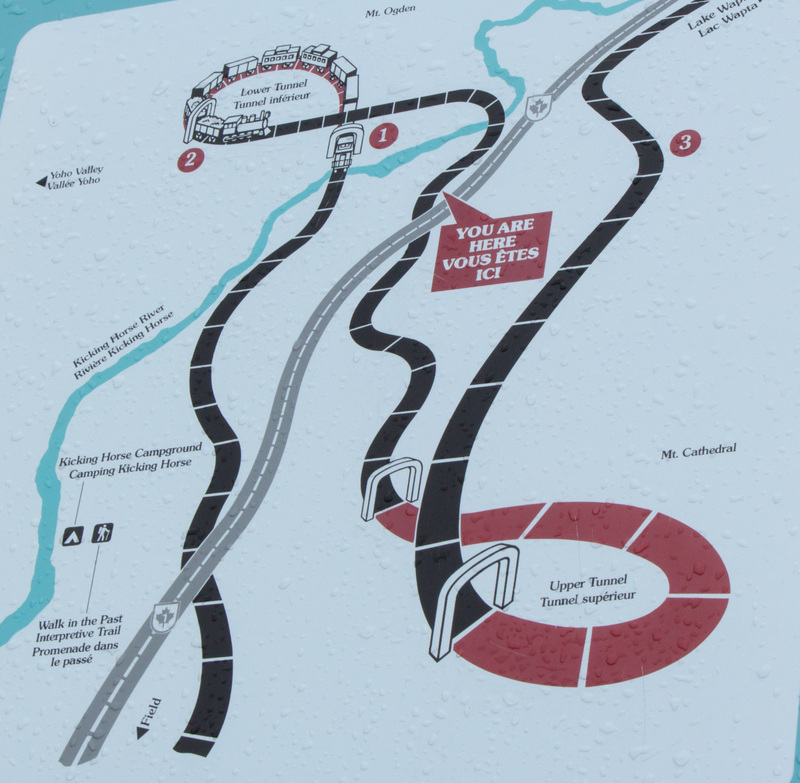 Yoho National Park is home to the CP’s famous spiral tunnels. 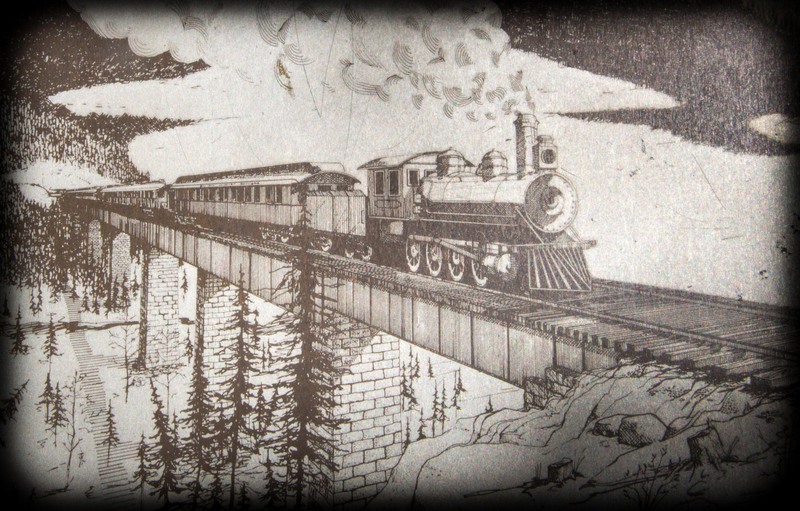 When the transcontinental railroad was first built it included a 4.5% grade on the west side of Kicking Horse pass. 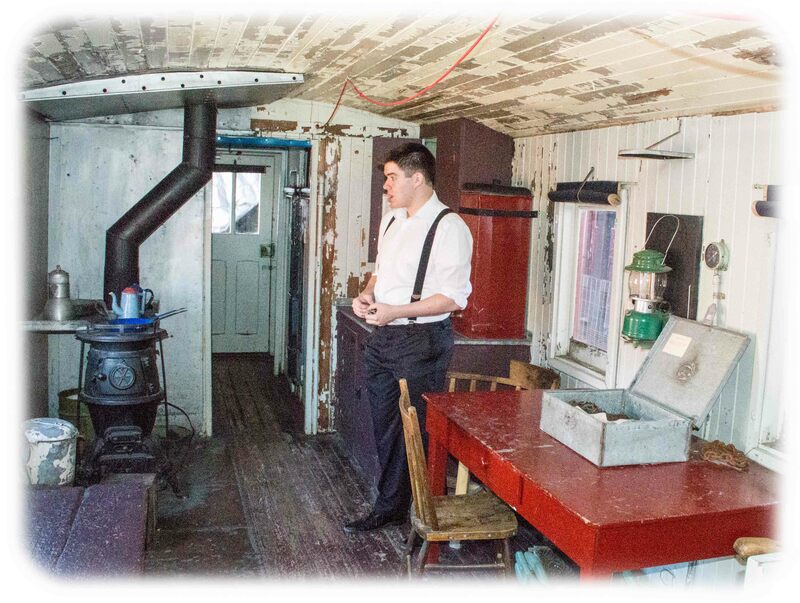 This was twice the safe grade permitted by the Canadian government and terrified trainmen as well as passengers. Though no loss of life was reported the railroad rebuilt the line using spiral tunnels to lengthen the mileage of the grade and reduce the incline. The two tunnels enter the mountains then spiral back at a higher level so trains literally cross over themselves climbing the pass. 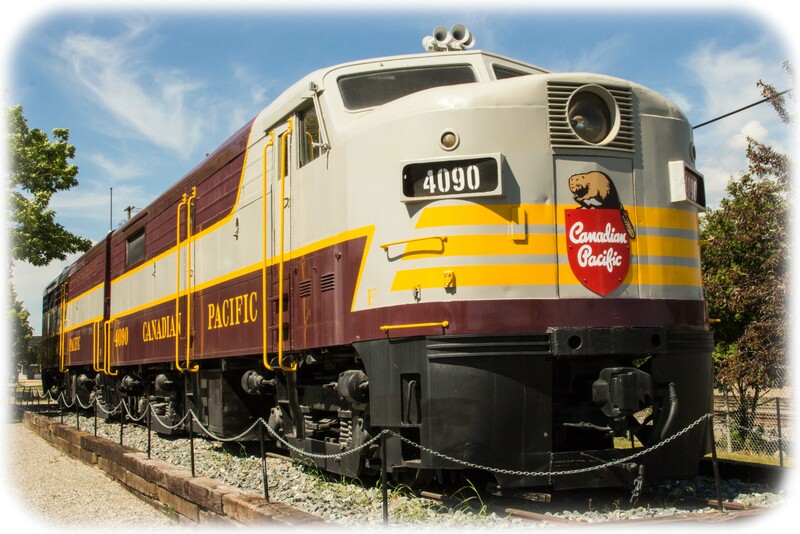 It is a big attraction for visitors to the park and a thrill for railfans. 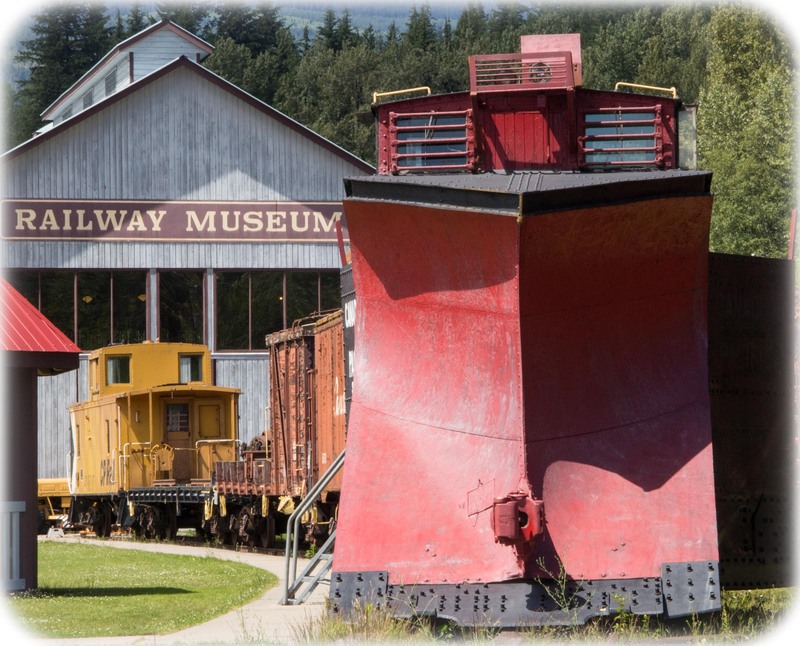 Revelstoke BC features a large Railway Museum with lots of history and rolling stock displays. 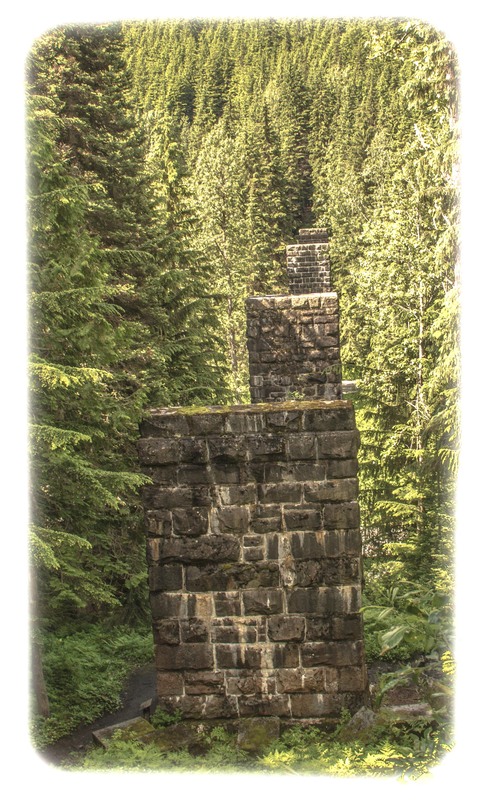 Nearby Glacier National Park has trails to historic trestle piers of the CP railroad. 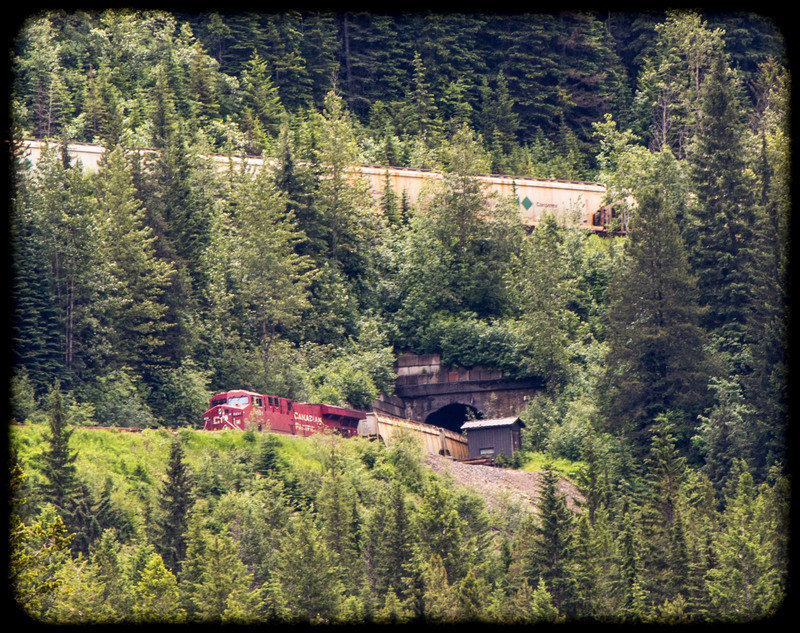 The park still hosts CP trains crossing Rogers Pass. Many of the loops of the original route have been replaced by tunnels. 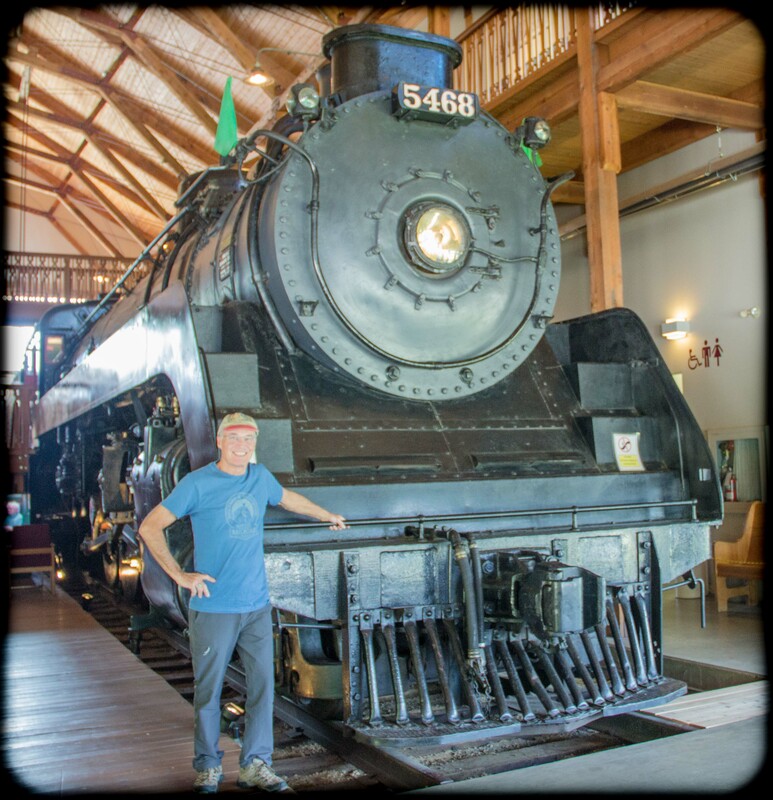 The Canadian Museum of Rail Travel is part of the Cranbrook History Centre in Cranbrook BC. 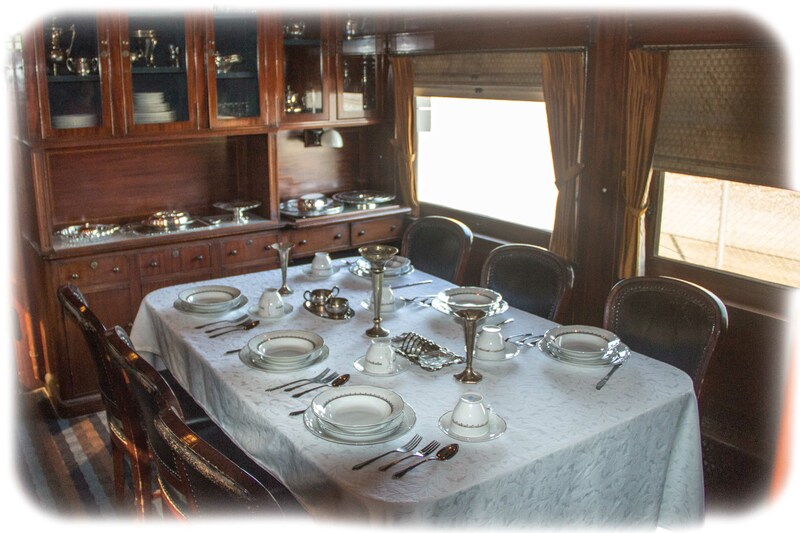 The museum has the largest collection of passenger cars in North America including very special cars for dignitaries such as Queen Elizabeth and Winston Churchill. 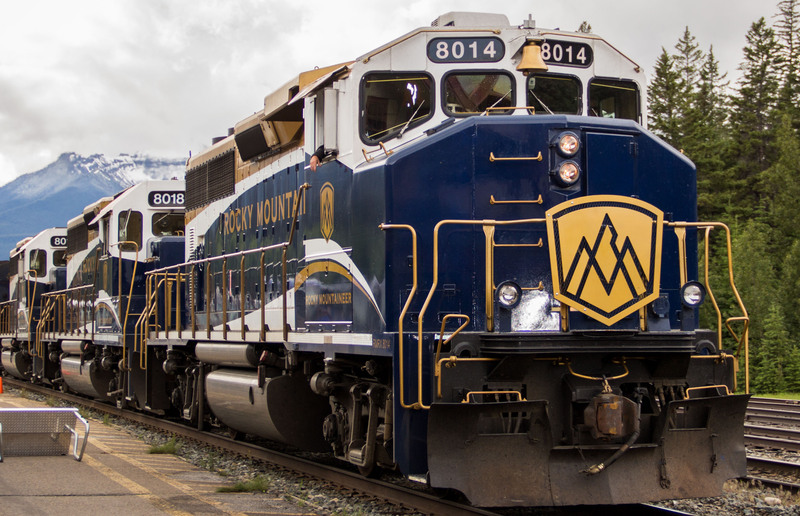 Train watching and rail history are two of our favorite reasons to visit the Canadian Rockies. We will be back. 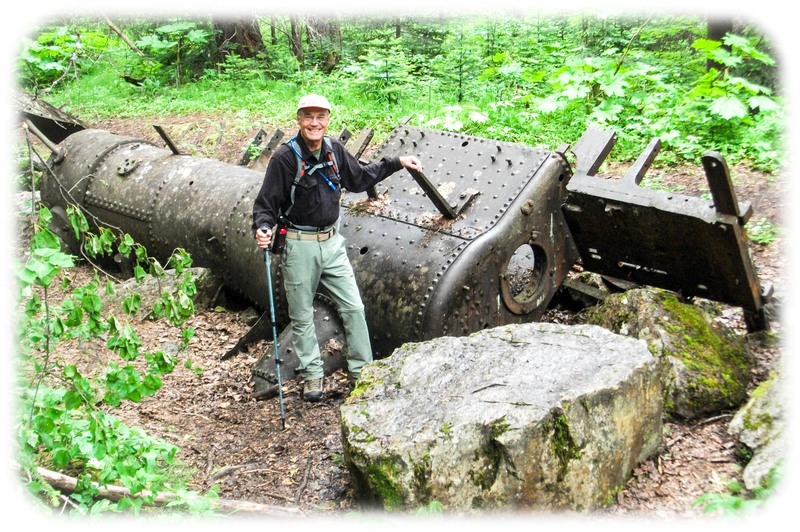 This entry was posted in Alberta, British Columbia, Canada, RV Travel, trains and tagged Banff NP, Canadian Museum of Rail Travel, Canadian National, Canadian Pacific, Glacier National Park, Jasper NP, Kicking Horse Pass, Revelstoke Railway Museum, Rogers Pass, Royal Alexandra Hotel, Spiral Tunnels, Yoho NP. Bookmark the permalink. Great post… and some of the best pics yet. 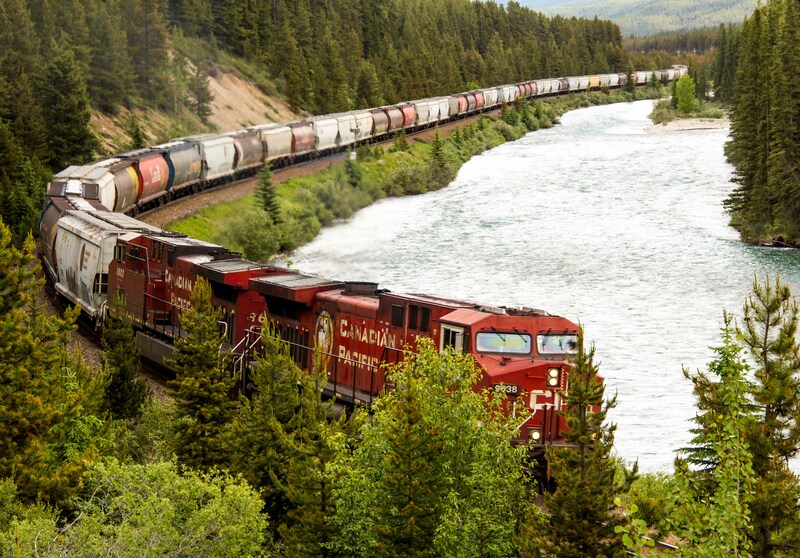 That first one – CP westbound at Banff – might be the best shot of your whole blog. Great perspective and looks like it could have been the model for the opening poster. Awesome! I love the artistic quality of your pictures and that whoever is in the photo has a great big smile! Glad to see you are enjoying these fascinating places you’ve found. Stay safe and well in your latest adventure. Your pictures and text convey the engineering feat that was built…spiral loops. 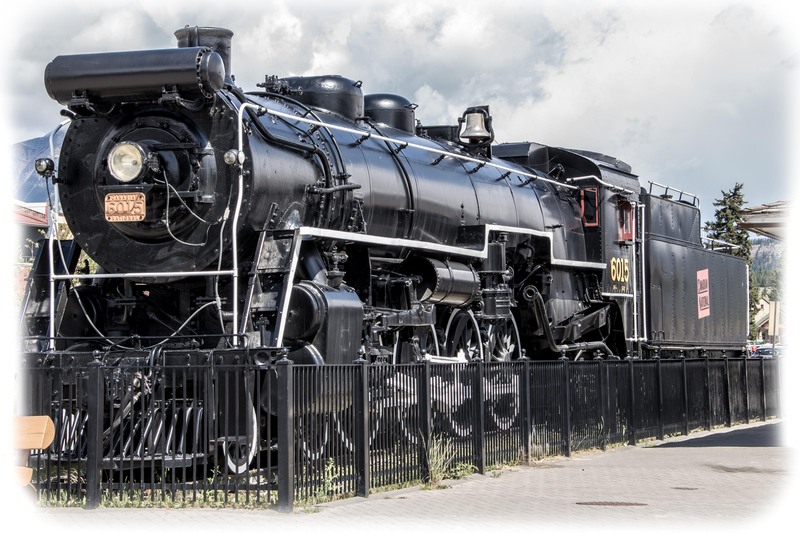 Quite the train history and gratefully, preserved with pride. Great post. You both are having the time of your lives. 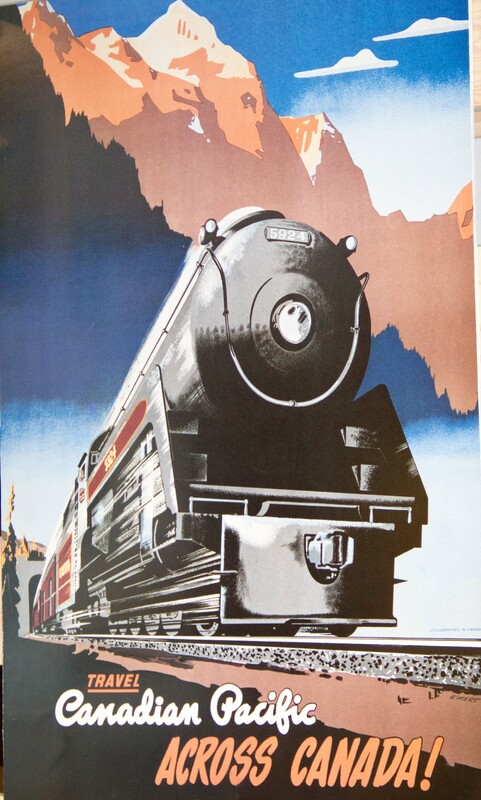 Happy to see you’ve managed to find lots of trains in your travel adventures – am sure it adds to your enjoyment. Great photos!